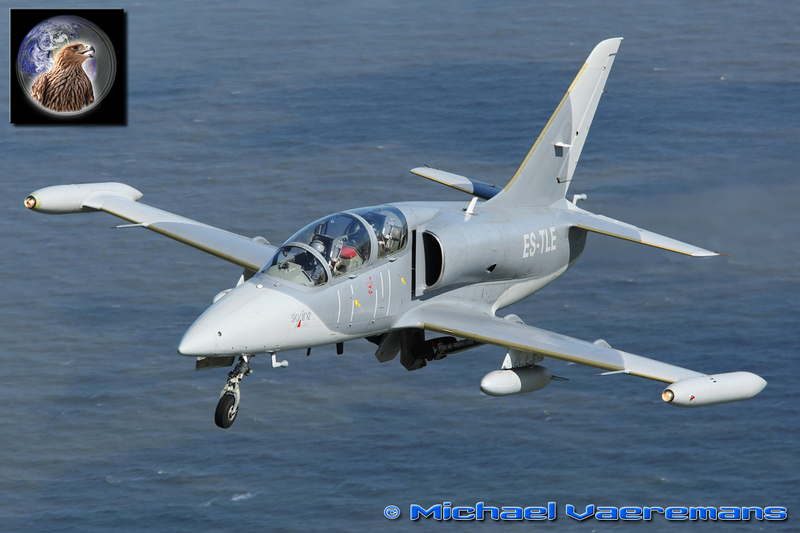 Our first guest, under perfect weather conditions was an L-39 of Skyline Aviation, looking absolutely georgeous... what a nice way to start the day! 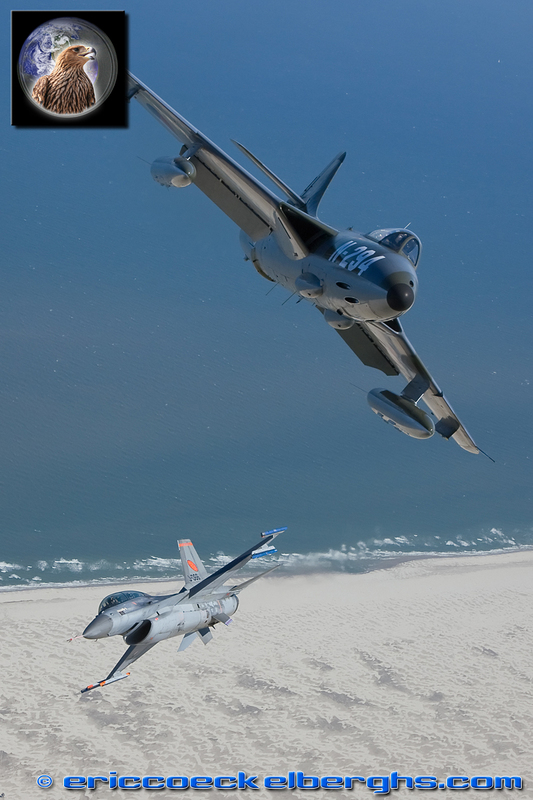 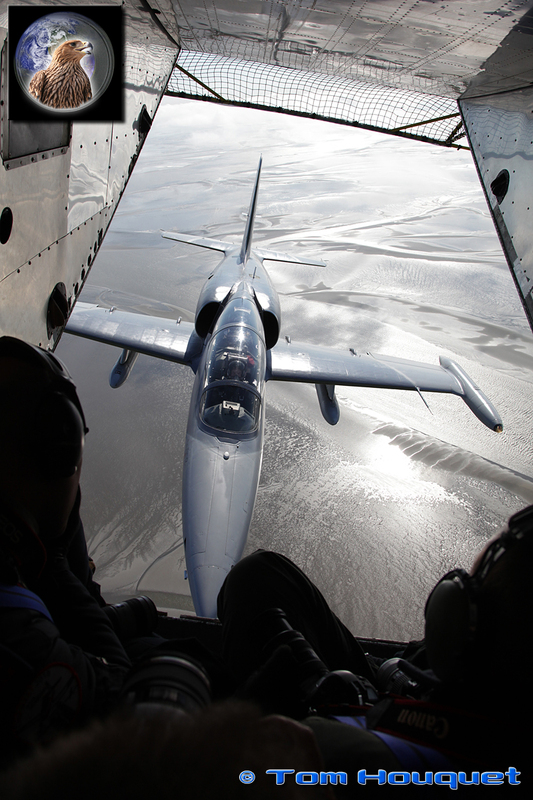 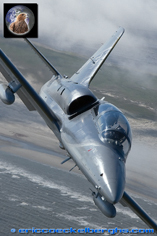 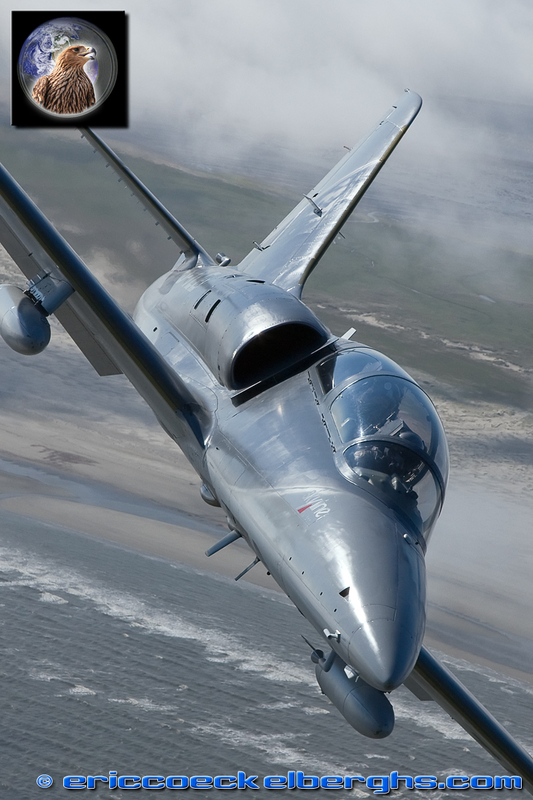 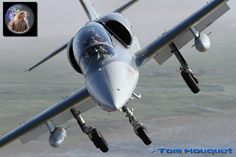 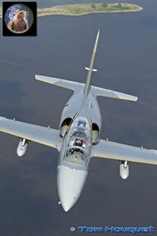 Skyline is a major contractor for the RNLAF, their L-39's fly a lot of missions for them as 'enemy' , 'target towing' etc. 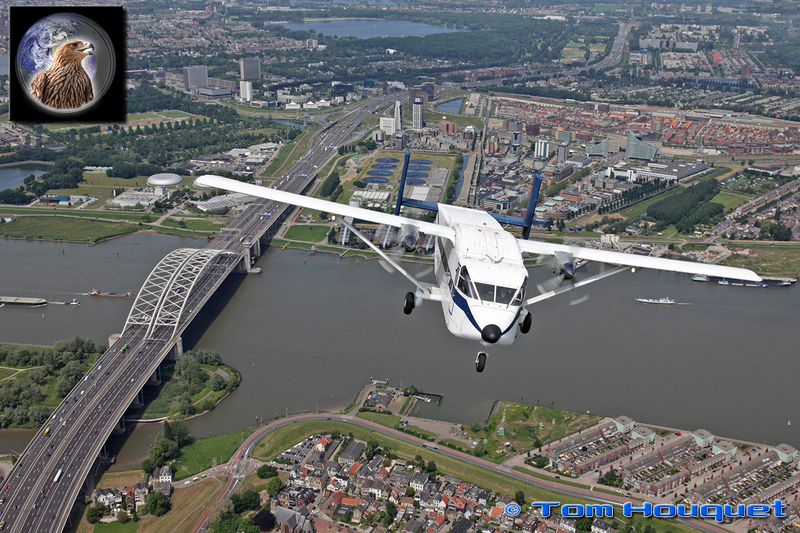 Our join-up was scheduled over one of the most beautifull parts of the Netherlands; up North and flying along the coastline, great great great! 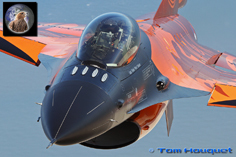 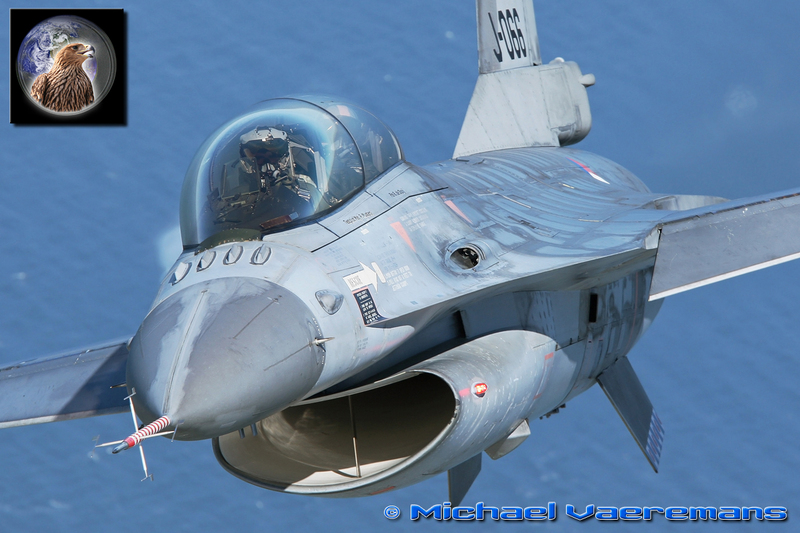 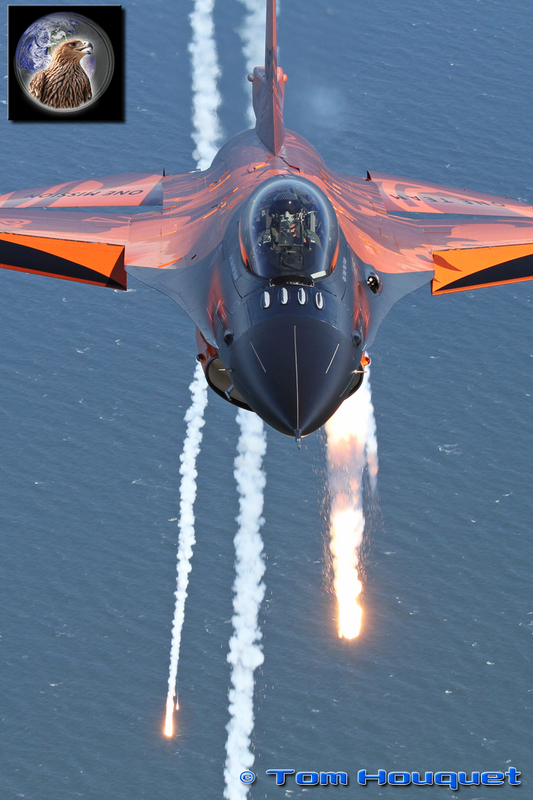 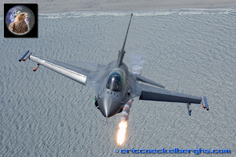 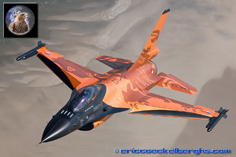 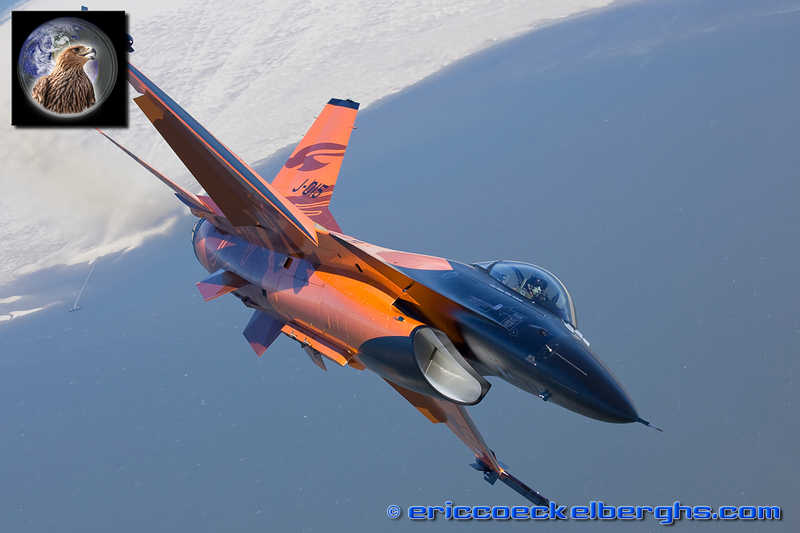 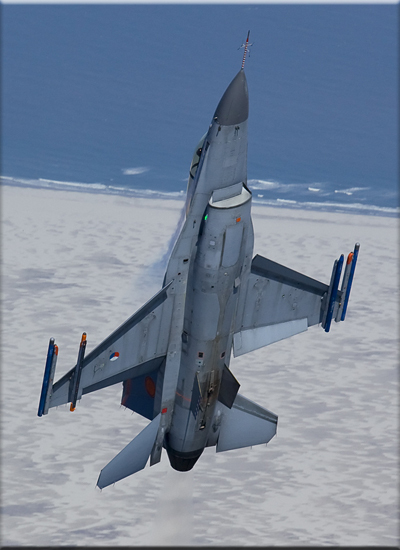 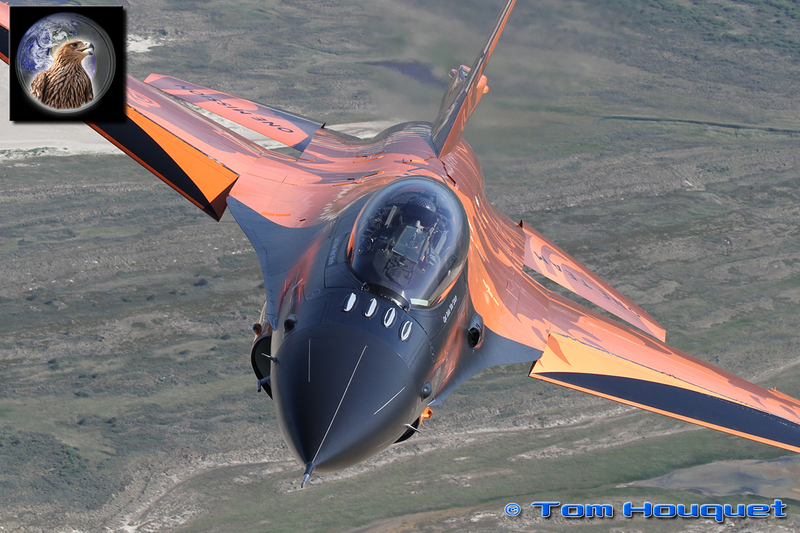 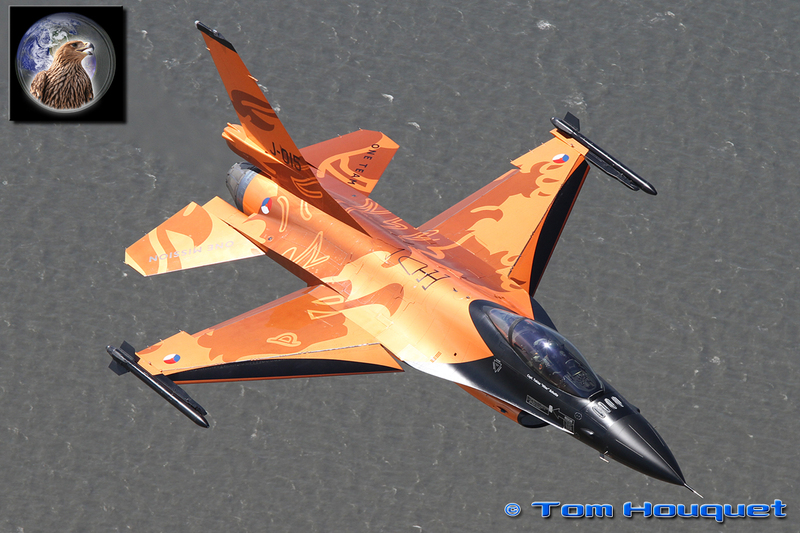 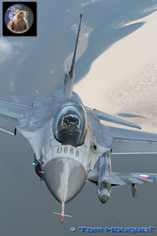 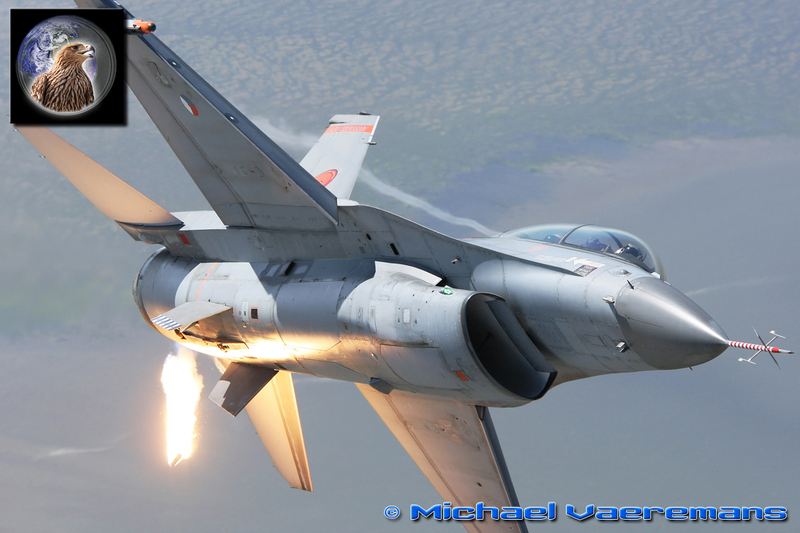 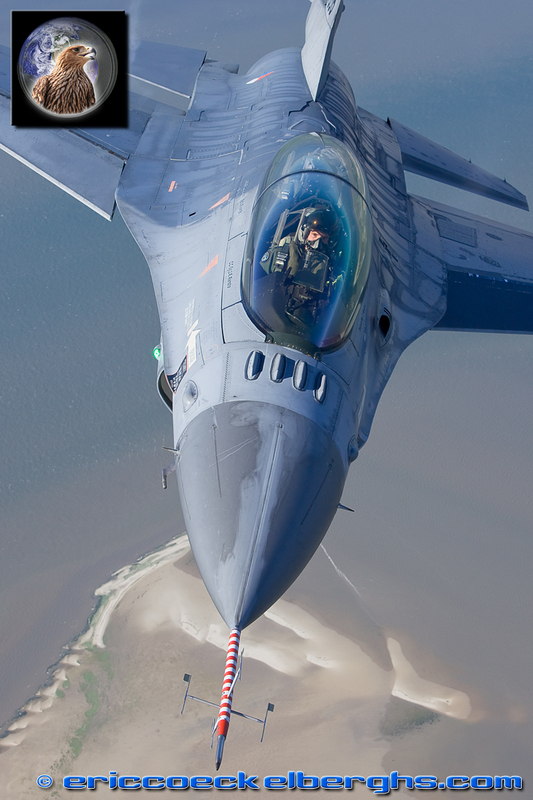 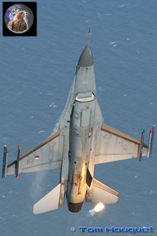 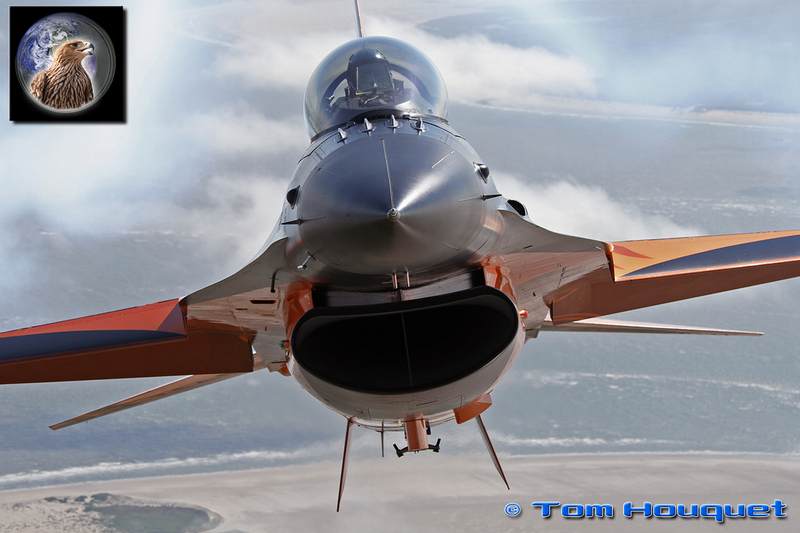 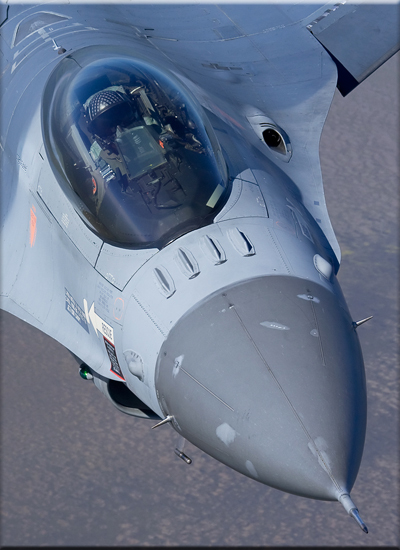 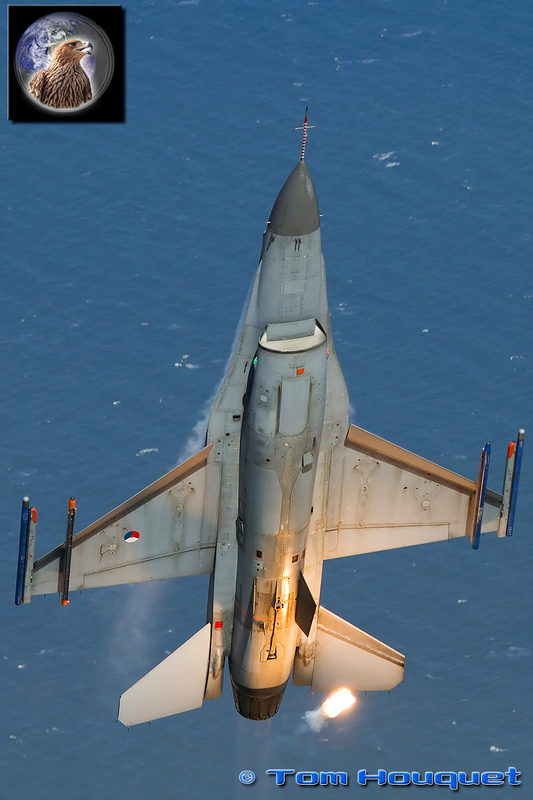 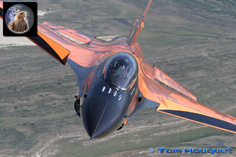 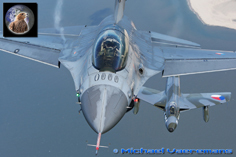 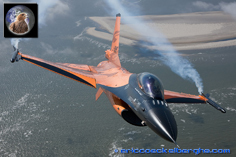 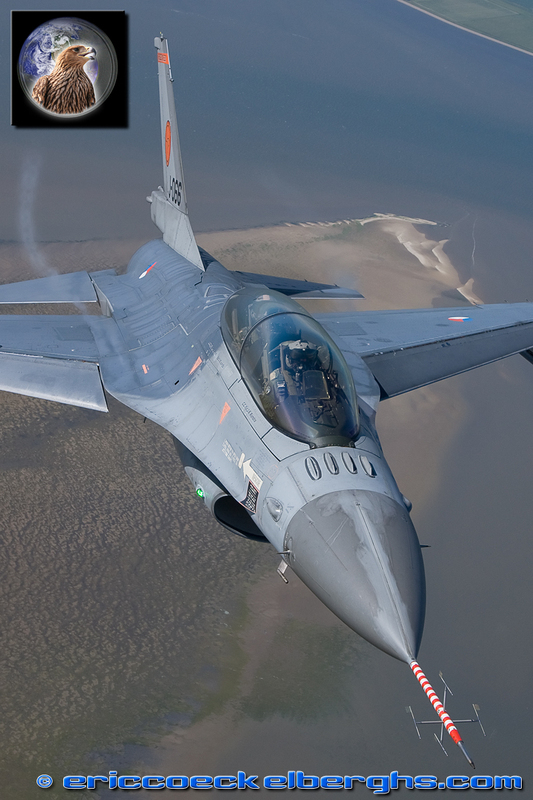 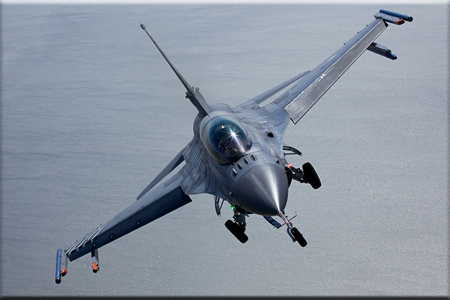 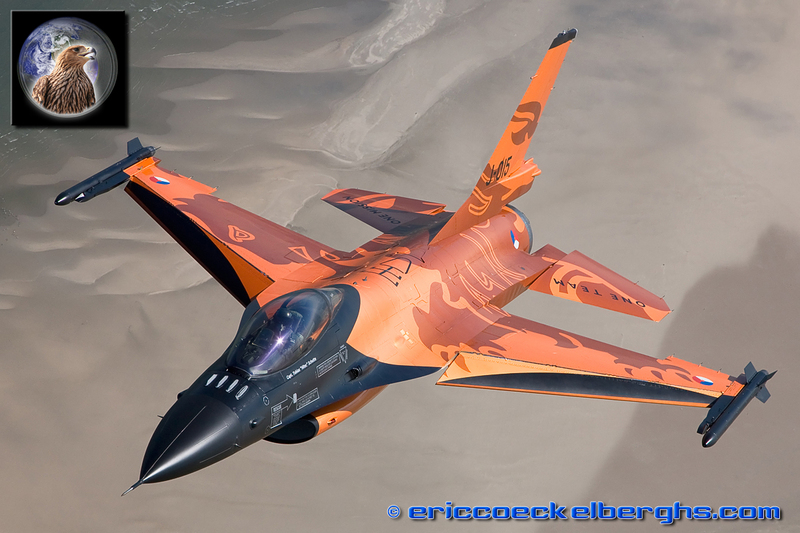 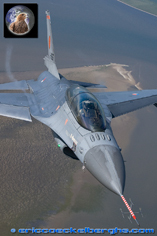 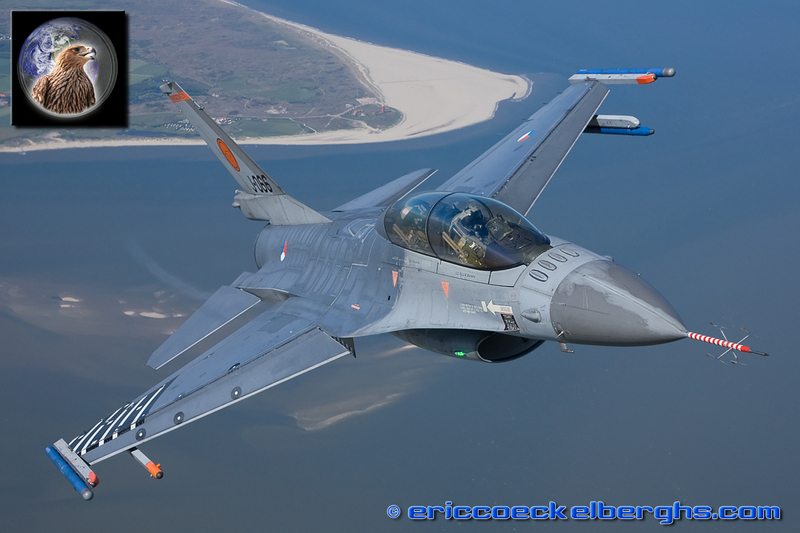 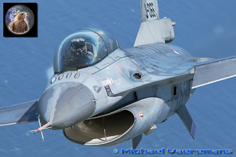 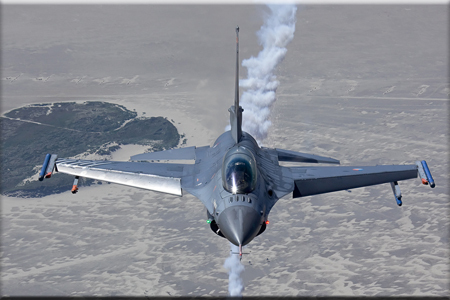 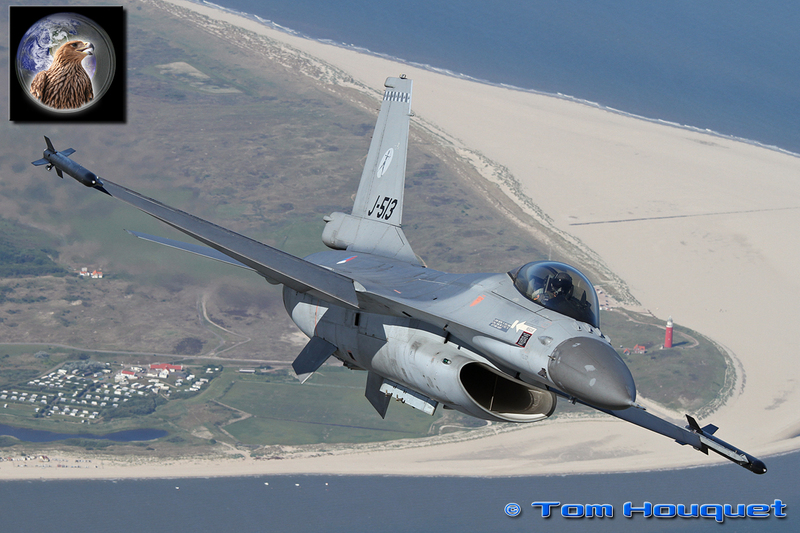 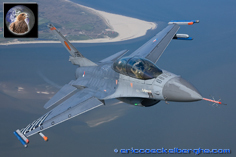 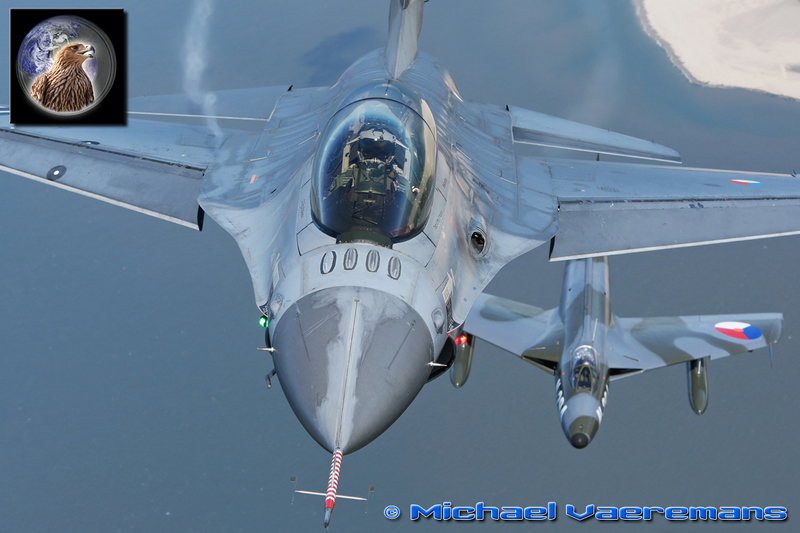 Our second guest was the demo F-16, the wellknown “Dutch Lion” is the bright orange colours. 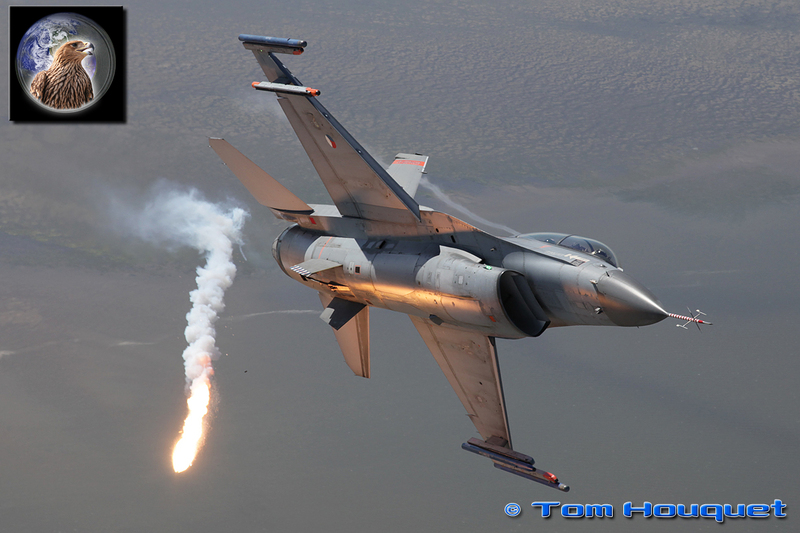 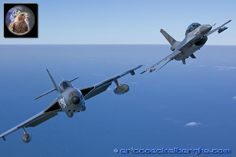 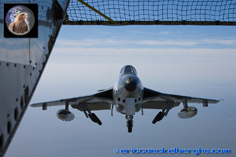 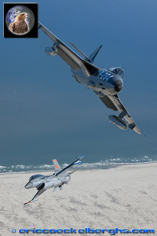 It was our first photoshoot with 'Hitec' , the new displaypilot and what a show he gave us... smoke and flares!! It's a challenge to get a good shot with some flare action, but I think we all succeeded in capturing this amazing private airshow for us. 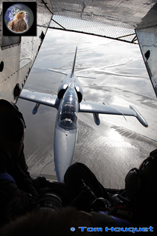 The spare jet was also there, and no time to waste in this adrenaline rush. 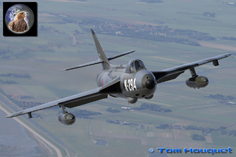 Altough 'Spout' has limited fuel reserve, he came to say hello in the classic Hunter! 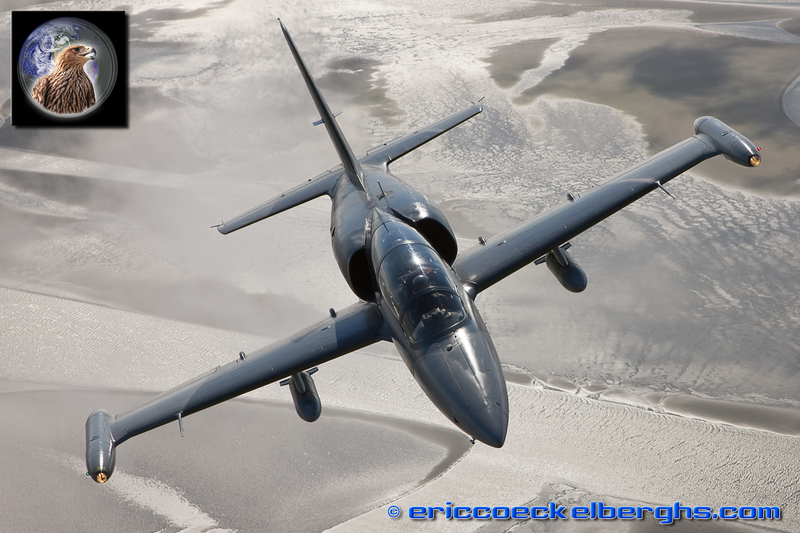 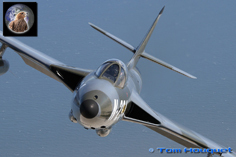 It still is one of the most gracefull jets out there; unfortunately we only had a few minutes with the Hunter but our next treat was there already! The 'Orange Jumper' testbed F-16BM had been on our wishlist for a while, and Frank Crébas invited him to play a nice game with the Skyvan photoship trying out new angles and just keep shooting flares... whoohoow, and we thought we were already so spoiled by now. 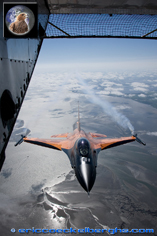 We first were treated with a unique formation with the Hunter, before we go a very actionfull presentation. 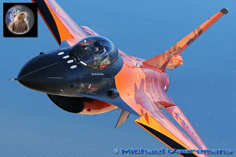 Yeah, that 'Viagra Boom' is quite photogenetic !! 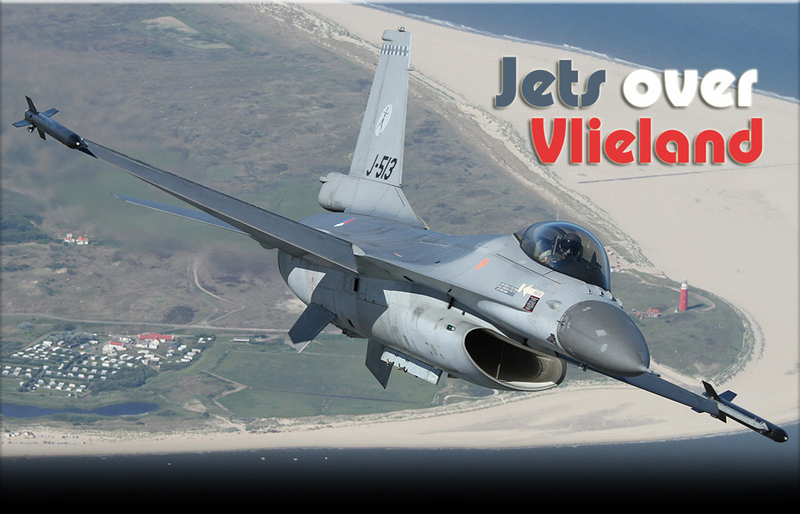 Very cool show again, and the background of the famous Vlieland Shooting Range was yet another plus. No, it was not over yet... our next adventure was the traditional low pass over the shooting range: we made two passes along the tower to say hello, in style of course! 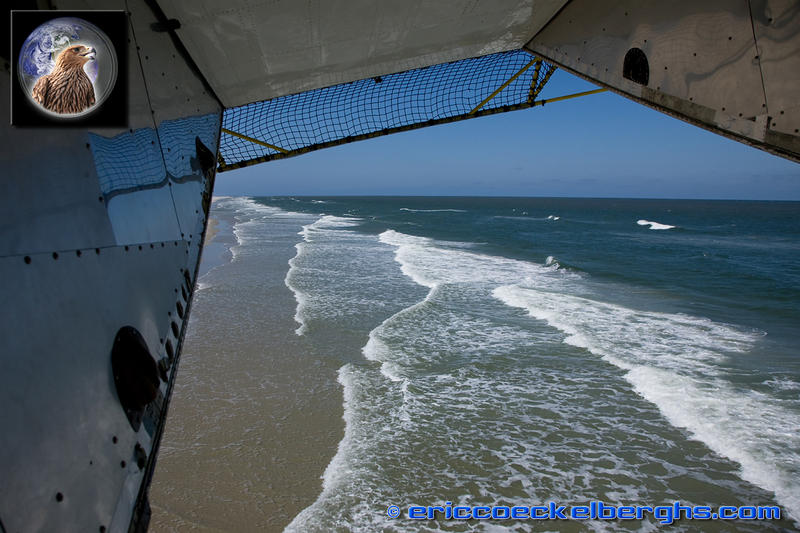 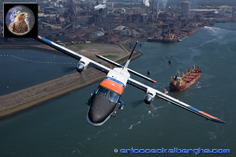 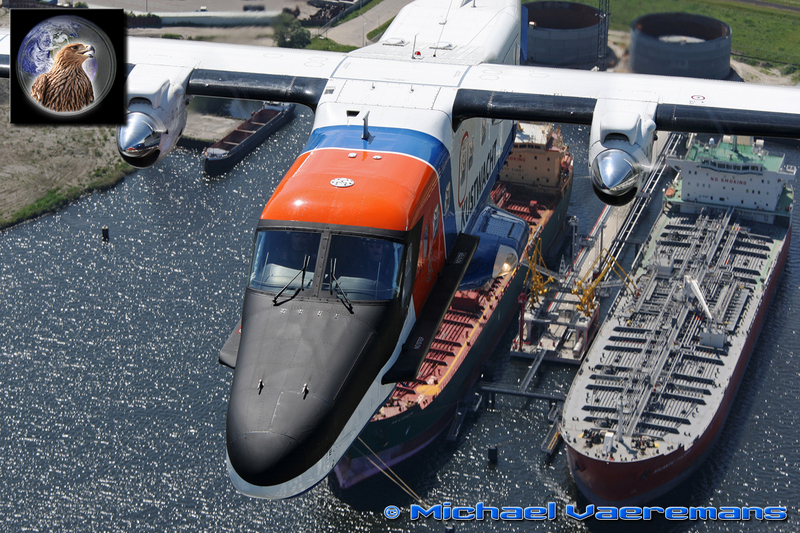 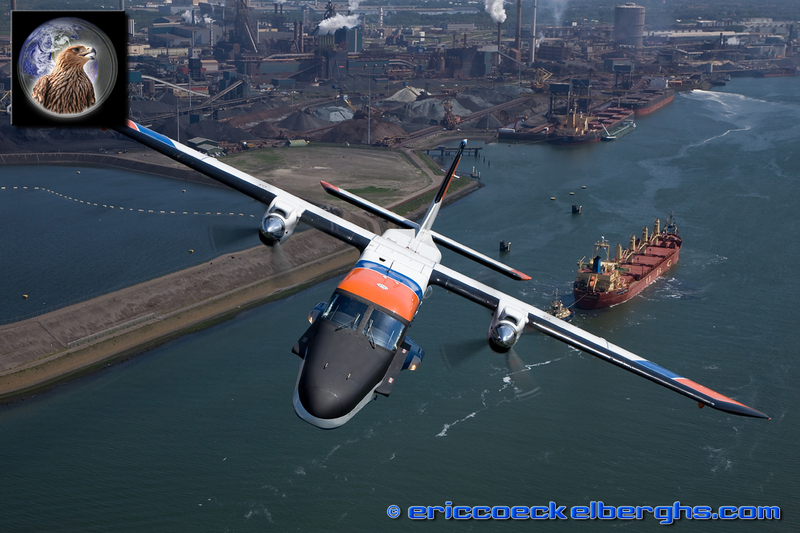 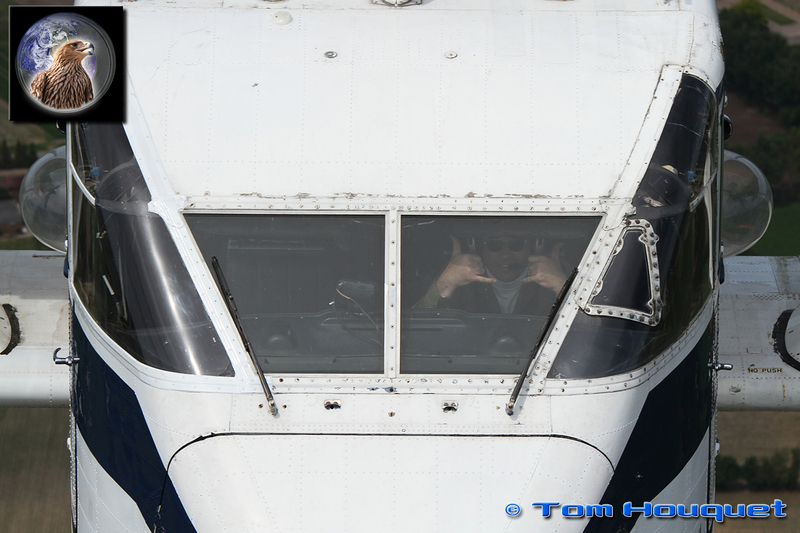 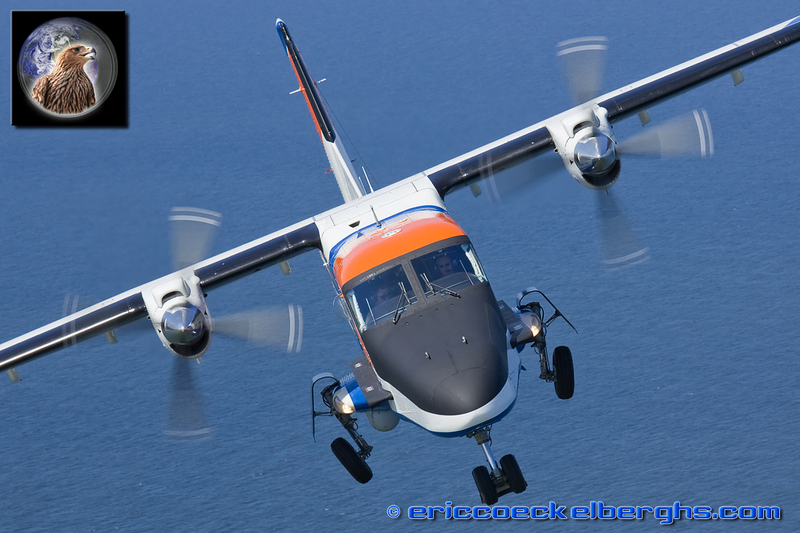 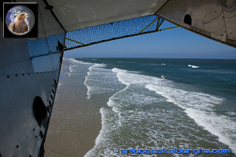 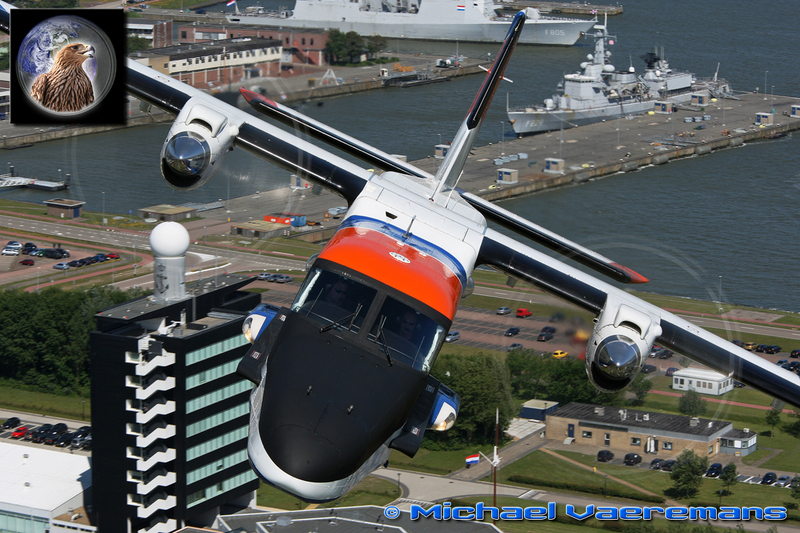 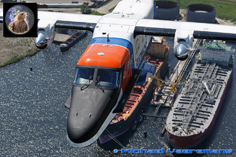 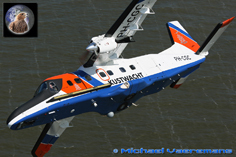 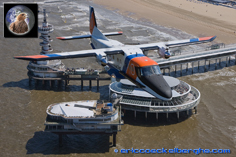 And our last guest was waiting; the Coastguard wanted to have some cool pictures too, so we gave their Dornier 228 all the time and most of all a very scenic ride along the Dutch coastline. 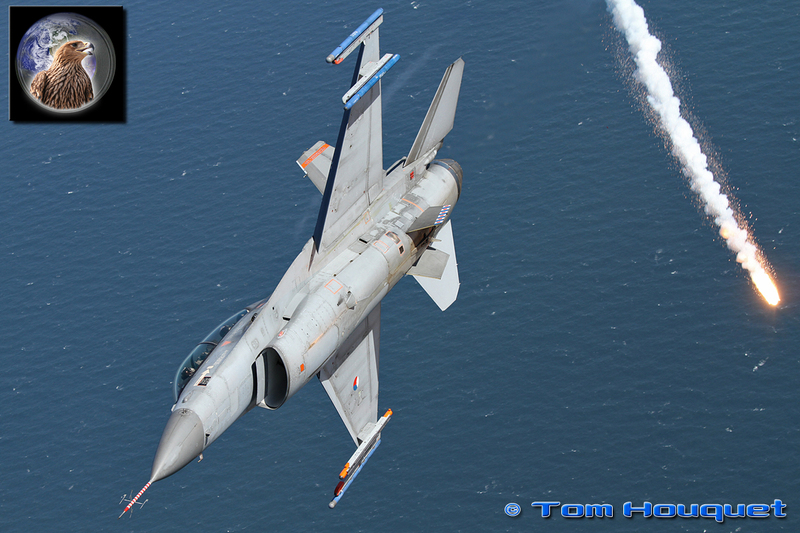 We made a special photo pass over their headquaters in Den Helder, and our two flyby's over Schiphol Airport were memorable for sure! 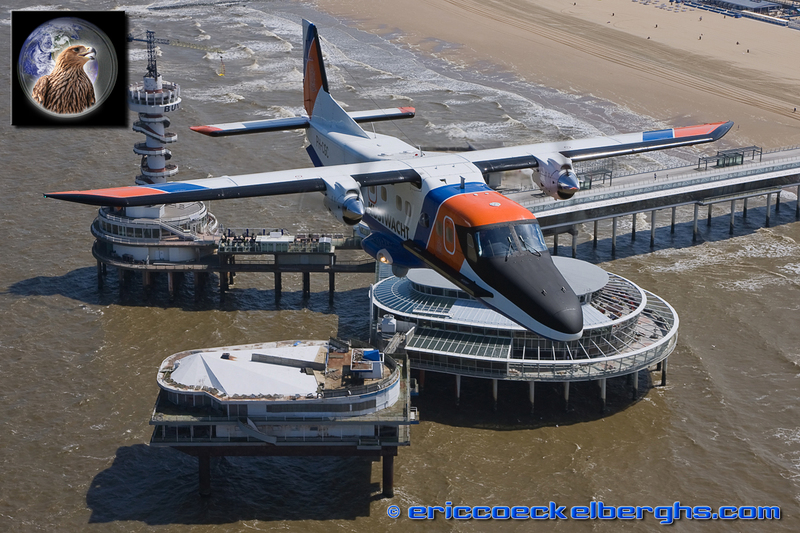 As they are very active in pollution control, the Dornier trailed us when we flew over Rotterdam Harbour... and no mission is complete without a photo of Scheveningen beach! 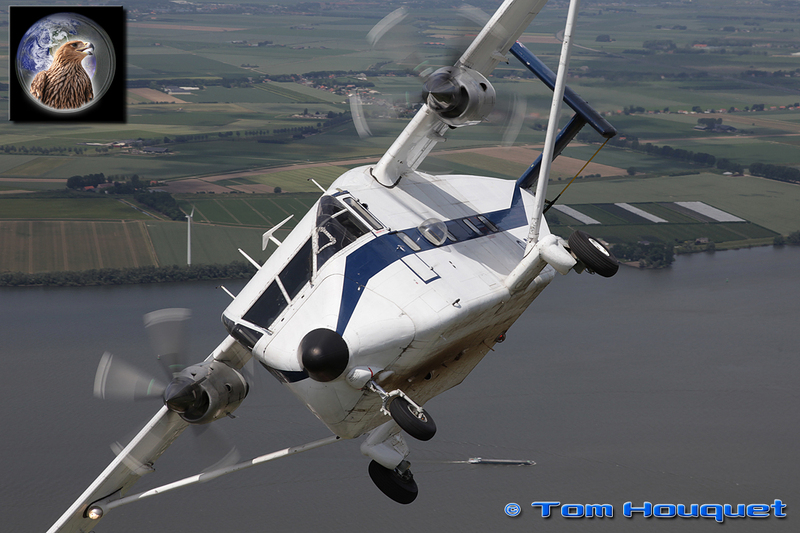 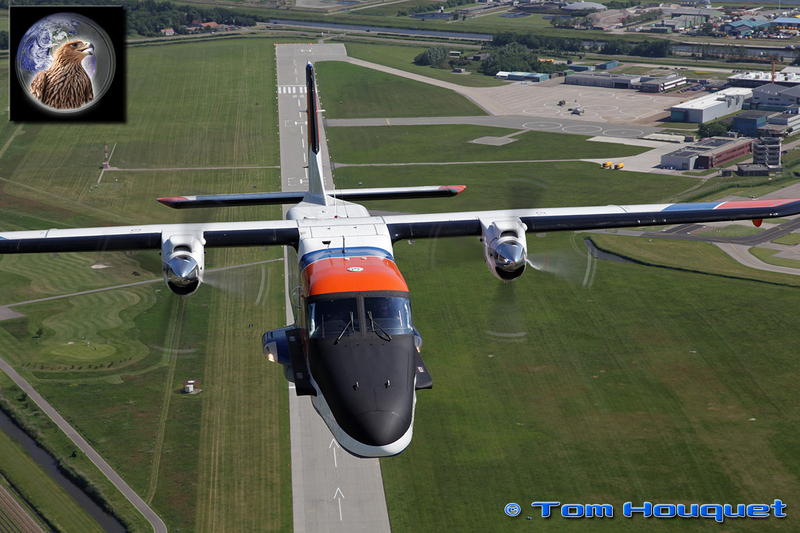 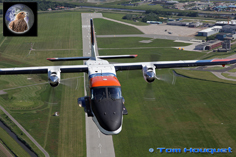 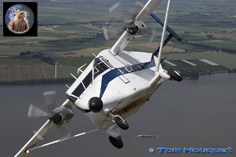 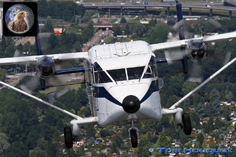 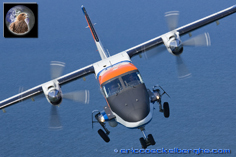 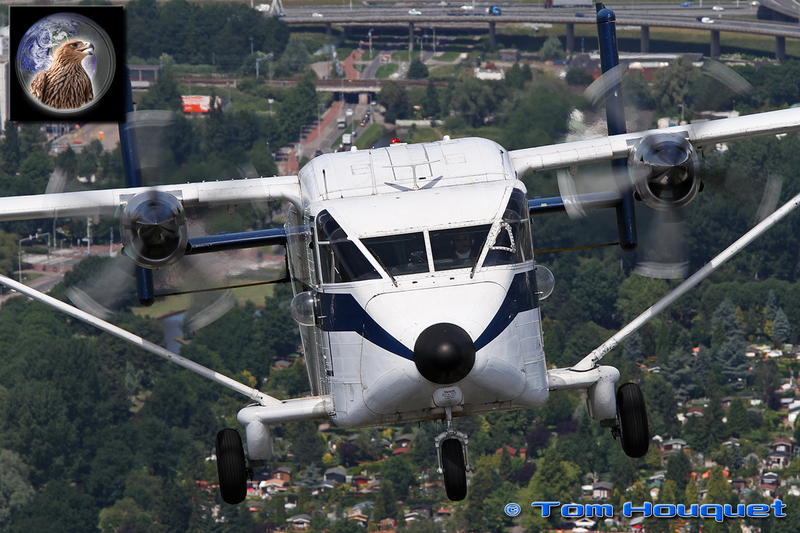 On our way home to Belgium we had another unexpected chance to capture our own Skyvan photoship, we flew actually with the two Skyvans a formation towards the airfield of Schaffen-Diest, our final destination. 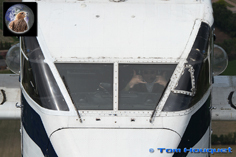 Many many THANKS for these unforgettable days to all the people involved in these photoflights. 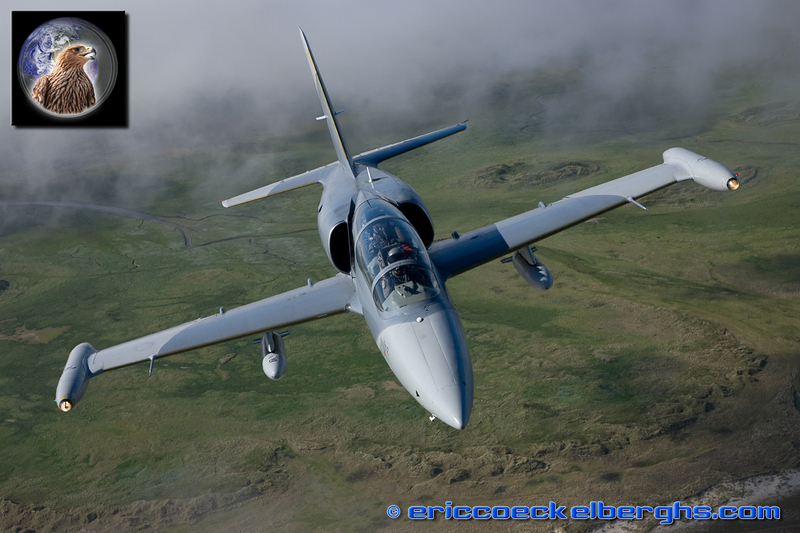 I believe our Air2Air Academy photographers who joined us on these missions got a lot more than they had hoped and dreamed for... so did we! !